MOSCOW, September 14. /TASS/. 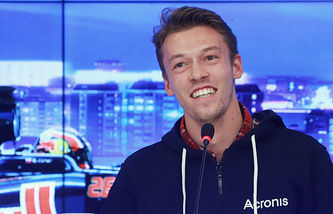 Russian auto racer Daniil Kvyat has informed Team Ferrari, where he is currently listed as a development driver, about his plans to leave and possibly join Team Toro Rosso, Juanjo Saez, a journalist with MotorLAT, announced on Friday. "Daniil Kvyat is on the brink of making a comeback to Formula One racing," Saez wrote on Twitter reporting ahead of the F1 Singapore Grand Prix this weekend. "The Russian has informed Ferrari about his intention to leave," Saez wrote. "He will be piloting again for Toro Rosso. Torpedo is back." Last week, Motorsport.com reported citing its sources that Kvyat moved to the top of the list of candidates for the 2019 Toro Rosso drive, "with some sources suggesting that a deal has already been agreed for the Russian to make a surprise Formula 1 return." Following the traditional mid-season break this summer ahead of the Belgian Grand Prix it was announced that Reb Bull’s Australian pilot Daniel Ricciardo would team up with Renault in 2019 and his place in the team would go to Toro Rosso’s Pierre Gasly. The 22-year-old French racer will pair with Dutch pilot Max Verstappen in Red Bull meaning that one of the two spots in Toro Rosso is now vacant. The other driver with Toro Rosso this season is New Zealand’s Brendon Hartley, but his long-term future with the Red Bull’s junior team is still uncertain. Red Bull’s Motorsport Consultant Dr. Helmut Marko did not immediately confirm that the Russian driver was making a Formula 1 comeback with Toro Rosso, but said that Kvyat was in a much better emotional state at the moment and was back in favor with the team’s management. 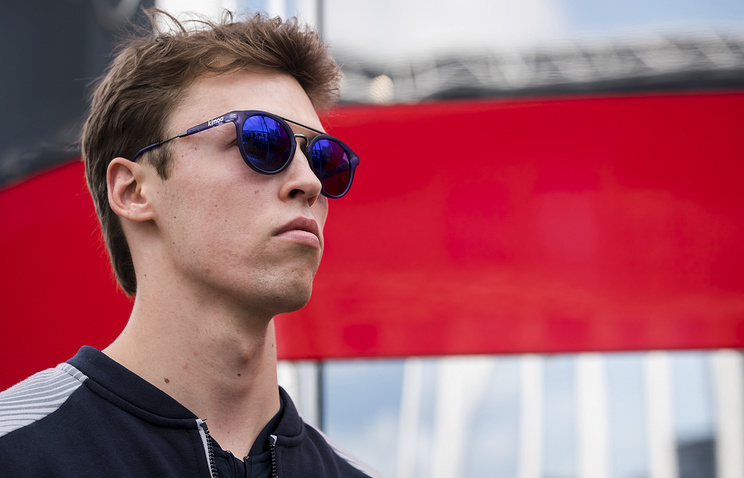 In January this year, legendary Formula One team Scuderia Ferrari announced that it took Kvyat on board as a development driver dealing with simulators. The 24-year-old Russian driver entered the Formula One world in 2014 racing for Toro Rosso and in 2015 he stepped up to the senior squad joining Red Bull. In the 2016 season, however, he was replaced by Max Verstappen in Red Bull and was demoted to Scuderia Toro Rosso again. Kvyat finished the 2017 season with five points in 15 races for Toro Rosso, which is a Red Bull farm team. After the US Grand Prix in October 2017 Red Bull’s management terminated the contract with Kvyat and replaced him in Toro Rosso with Brendon Hartley. Kvyat’s best result in his Formula One racing career was second place at the 2015 Hungarian Grand Prix.